Chef Mario De Muro and his team welcomed me in his Hotel Restaurant called Villa Cirigliano, in the Tursi area of Basilicata. He shared with me his most prized dessert, tiramisu alle fragole, il dolce della donna: or as I would like to refer to it; strawberry tiramisu, a lovers’ dessert. I had forgotten what a strawberry picked from its stem when ripe actually could taste like. 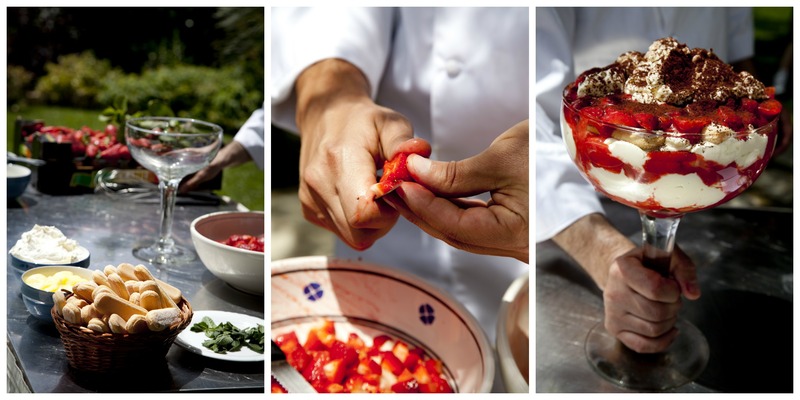 Chef Mario De Muro gave me the chance to live the sweetest of culinary experiences taking me back to the moment when my parents and I actually went strawberry picking in the québécois countryside. Mario De Muro reinvents the traditional tiramisu dessert. No eggs, coffee or cacao powder are necessary….only mascarpone, crema pasticiera Italian custard and freshly picked strawberries. Add a little sun and a lot of passion and you have all the special ingredients to create and make this light and fluffy dessert. Still dazed by my early afternoon lunch, my team and I rushed to Bernalda, the native village of filmmaker Francis Ford Coppola’s grandfather. Nearly six years ago, Coppola decided to revive an old royal property called Palazzo Margherita, which belonged to the royal Margherita family and turned it into a small hotel restaurant in the heart of Bernalda. I had the priveldge to receive a tour of Coppola’s newly acquired villa. 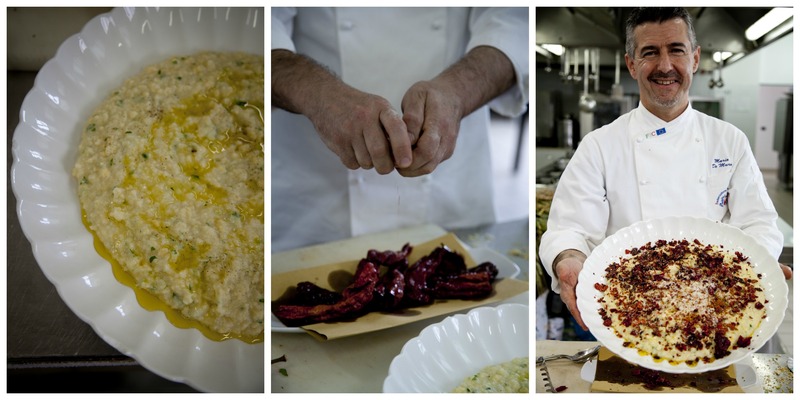 Chef Tomasso prepared a distinctive appetizer of Basilicata “Lampascioni fritti”. 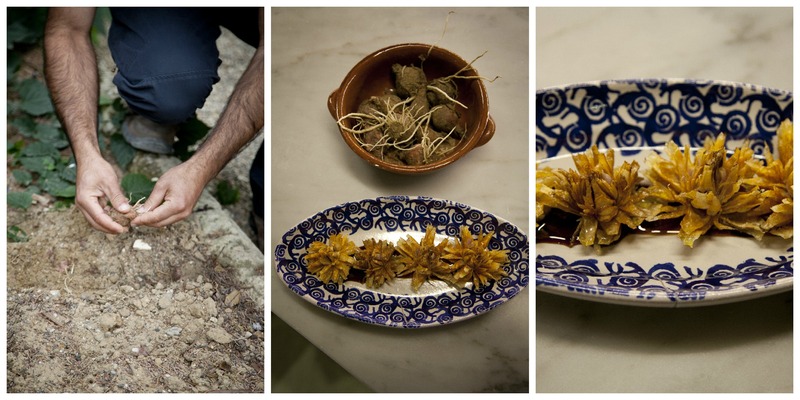 Loved by Coppola, this fried small onion-like vegetable, spontaneously sprouts apparently only on Basilicata soil. One can’t plant a seed for it. They are served with local vincotto literally “cooked wine” (a dark, sweet dense condiment, locally produced) in an elongated dish accompanied with a glass of white or red wine. Sliced partly in both horizontal and vertical directions, each lampascione is slightly parted so to look like a flower about to bloom. They then take the shape of a star as each one deep fries in olive oil for only a few minutes. A delight for the palette and the eyes.